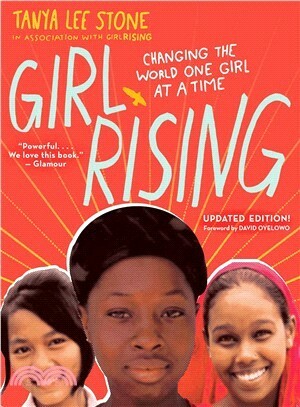 A gorgeous, full-color oversized book about educating girls across the world, inspired by the documentary that Entertainment Weekly says “every mother, sister, daughter should see, as well as the men who love and support them.” This is the right book for the present moment and perfect for fans of inspirational nonfiction such as I Am Malala and anyone who believes that one girl can change the world. Worldwide, more than 130 million girls are not in school. Now, award-winning author Tanya Lee Stone deftly uses new research to illuminate the dramatic facts behind the film, focusing both on the girls captured on camera and many others. She examines barriers to education—child marriage and early childbearing, slavery, sexual trafficking, gender discrimination, and poverty—in depth and shows how removing these barriers creates not only a better life for girls, but safer, healthier, and more prosperous communities. Tanya Lee Stone has received many awards and honors for her books, including an NAACP Image Award for Courage Has No Color, a Robert F. Sibert Informational Book Medal for Almost Astronauts, and a Golden Kite Award for The Good, the Bad, and the Barbie. Her articles and reviews have appeared in School Library Journal, the Horn Book Magazine, and the New York Times. She is best known for her passion for telling little-known or unknown true stories of people who have been missing from our histories. Stone went to Oberlin College and now teaches writing at Champlain College. You can find her online at tanyastone.com, on facebook.com/tanyastone, and on Twitter at @TanyaLeeStone.